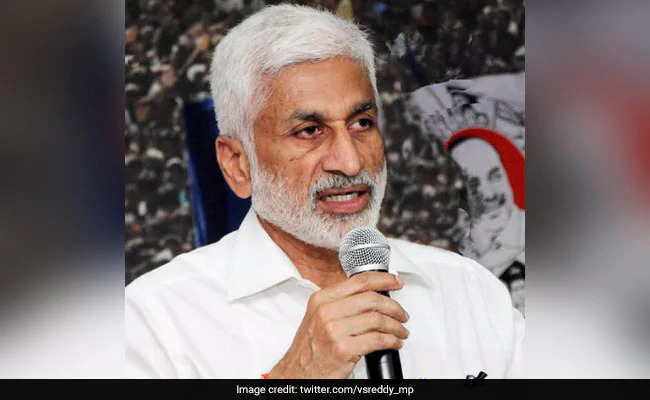 Senior YSR Congress party leader and Rajya Sabha MP,Vijayasai Reddy slammed Andhra Pradesh chief minister, Chandrababu Naidu for hiking the costs of roads being built in the much-touted capital of Amaravati astronomically. In a post on the popular micro-blogging site, Twitter, the Rajya Sabha MP, ridiculed the Chandrababu Naidu government for the enhanced costs saying that such mind-boggling corruption probably finds no parallel even in African countries, some of which are known for their venality. Vijayasai Reddy pointed out that while national highways are being built at a cost of Rs. 18 crore per km, roads in Amaravati are being constructed at a cost of Rs. 36 crore per km! The senior YSRCP leader derided Chandrababu saying that at this rate the entire national budget would not suffice for the completion of Amaravati.